Another actor whose death surprised me is Robert Pastorelli, best known for his portrayal of painter Eldin Bernecky on Murphy Brown. 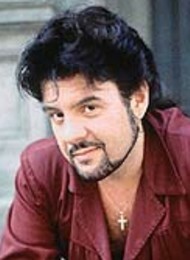 Pastorelli died of a heroin overdose in March of 2004. Forgive me for missing the funeral. K.R.I.P. Other Retro-bituaries: Mr. Belvedere, Becky's Boyfriend from Roseanne, Hotsy Totsy from Welcome Back Kotter, Bob McAllister from Wonderama, Morty Seinfeld, and the special Fun Facts Edition.